I Write this post to admit to you all…yes, all three of you, that I have never been to Disney World. You three may argue otherwise and anyone else who may be reading may wonder how I can possibly be starting this blog if I have never been to Disney World. I have never been to Disney World because it simply does not exist. I have, however, been to Walt Disney World. “Oh, what’s the difference?” you might ask. Well, I believe there is a big difference. Some say there is something a little more special about Disneyland because you can walk where Walt walked. I agree, but I also would urge people not to forget that Walt also walked where Walt Disney World now stands and his involvement in its development was enough to make the place just as magical. Although Walt only stood in Walt Disney World during the construction phase and what stands there today is not exactly what Walt had in mind, I still feel as though the place rightfully bears his name and apparently so did his partner and brother, Roy O. Disney. Unfortunately Walt died before much work on Walt Disney World began and the project was almost put to an end. Luckily for us many employees of WED Enterprises urged Roy to continue with the project that was to be named Disney World according to Walt’s plans. 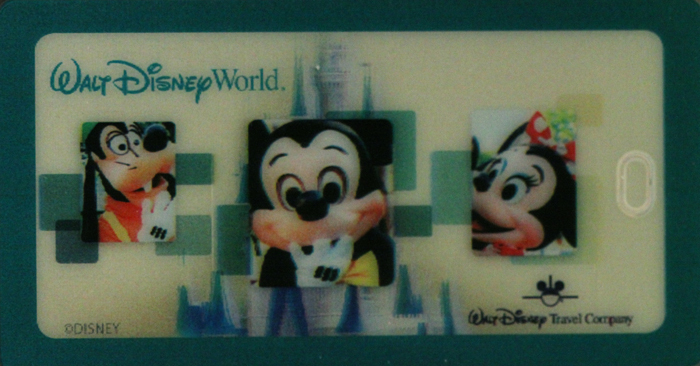 However, three years later Roy gave his dedication speech of Walt Disney World. Roy insisted “Walt” be added to the resorts name to honor his brother. Despite Roy’s contribution to the project, he still thought of it as Walt’s park. Why do I go to the trouble to say Walt Disney World rather than Disney World? I do so because Walt’s presence and legacy exists just as much in Walt Disney World as it does in Disneyland. I believe Walt’s company has done an excellent job of continuing his legacy of imagination, excellence, and magic. When I say “Walt Disney World” I am not only honoring Walt but I am honoring Roy as well. I am honoring the work he put into the place and his wish to have his brother forever memorialized in a place that truly shows the magic Walt brought into this world. 3 Responses to Where in the world is Disney World? Love this article! I never knew that about the name of the park. Now whenever I hear, “Walt Disney World” I will remember that it was his brother’s way of honoring his role in the park’s creation. I think I read somewhere that they took lessons learned from Disneyland to make WDW better. You are right about that! Two of the biggest changes were the tunnels under Magic Kingdom and buying enough land so they could control what the guests can and can’t see while inside the parks. Thanks for your comment Mom!